As the pro-bird watching movie A Good Year had shown, this hobby is really not that different from fishing: both require sitting still for long periods of time, and both can also curiously give folks a jolt of adrenaline once they “catch” something. This app, in particular, is made for purposes like these. By collating the different bird sounds from 371 well-known and obscure avian species around the US, the app is practically a Wikipedia for identifying bird sounds. It “teaches” you through forms of—what else—but electronic flipcards. In a MCQ-type of test, you are then made to choose from three options as to which bird uttered the call. 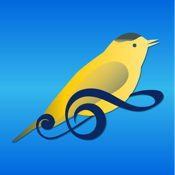 For what it’s worth, this is a really useful app if you’re into learning bird songs. It’s perfect for the summer, in fact.